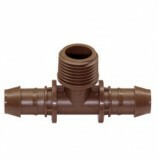 Rain Bird’s XF Insertion Tool assists you with installing XF Fittings in less time and with less effort. Installing fittings can be a grueling task at any job site. Not to worry, there’s help. Introducing Rain Bird’s new XF Insertion tool. Your hands will thank you.